The official Indonesia currency is Rupiah (IDR). It has been floating around Rp 8,500 – Rp 9,600 per USD (American Dollar) for several years now. The strongest Rupiah at Rp 8,500/USD occured in 2011, but it gradually weakens in 2012. Rupiah has reached Rp 9,600/USD when I wrote this article in early September 2012. We do not use other currencies for transactions in Indonesia, except for the published rate of hotel rooms, high priced electronic gadgets, such as Notebook, or outbound travel. Then you will see the price in USD. Therefore, when you travel Indonesia, you need Indonesia currency, i.e. 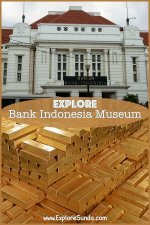 Rupiah, to pay, especially when you travel to small towns, traditional markets, small restaurants, and such. The transactions there are still cash basis. Rp 1,000 - This paper note will gradually be replaced with coin. The average price of a meal in a foodcourt at malls is around Rp 20,000-Rp 30,000. 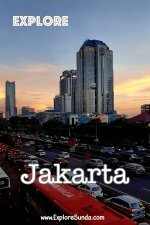 An executive train ticket from Jakarta to Bandung is Rp 60,000. Flagfall of a Blue Bird Taxi is Rp 6,000 then Rp 3,000 per kilometer. Where Can We Exchange to Indonesia Currency? You can exchange your currency or traveler checks in the banks. The advantage is the exchange rate is better than the money changer. The disadvantages are not all major currencies can be exchanged, depending on the banks. The most accepted currency is USD100 bank notes. However, some banks do not accept creased USD bank notes or old production year. In addition, not all branches has USD on hand, hence, we must go to the major branch. The alternative is to exchange it in the money changer kiosks, which accept various currencies as well as traveler checks. They also accept creased or older USD bank notes, but with lower rate. These money changers are more convenient since many of them are located in the malls, which means longer opening hours and close to you when you need the Indonesia money. If you don’t like to bring too much cash, you can still pay with credit cards. Many stores and restaurants in cities such as Jakarta, Bandung and Cirebon accept Visa and Mastercard. American Express is not popular in Indonesia, but few stores also accept it. Most of the stores and restaurants that accept credit cards will put the Visa, Mastercard or American Express stickers on the cashier. However, please check with the cashier first whether there is a minimum purchase to pay with credit cards. 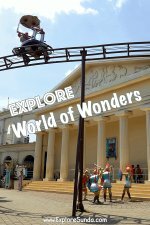 Sometimes there is a minimum purchase of Rp 50,000 to Rp 100,000 (approximately USD 5-11). Another case is that some stores accept credit cards payment but the customers must pay the transaction fee, which is about 3% of the total payment. You can also use your credit card or debit card as an option to money changer, i.e. you use your credit card to disburse money at ATM. You can find ATM with a VISA or Mastercard logo everywhere in big cities such as Jakarta and Bandung, even few in small towns. You can find ATM in malls, banks, office buildings, etc. Therefore, make sure you remember your credit cards or debit card ATM PIN. Please note your credit card issuer or your bank in case of debit card will charge you some fees on top of the amount you withdraw and you will not know the exchange rate until you receive your bank statement. 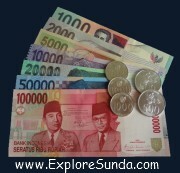 Having well informed and prepared on Indonesia currency, you are ready to explore Sunda. Don’t forget to bring sufficient cash with you!